Thank You Father that You are faithful to equip all those whom You call into Your service.., so that they may carry out and complete the work that You have prepared for them to do. Lord You know my own limitation and inabilities and I pray that in the power of the Holy Spirit You would furnish me with the necessary skill and graces to fulfil all that You would have me do. Father God, how wonderful to know that You have provided all that is necessary to live a godly life in Christ Jesus. Your grace truly IS sufficient to supply whatever needs and necessities we may have to face, and thank You that no matter how difficult the circumstances that arise in our lives - nor how lonely the path may be, Your grace is sufficient for Your strength is made perfect in our weakness. Dear Lord Jesus, thank You for Your promise to strengthen me in the midst of all my trials and difficulties. I know that without You I can do nothing but You have promised that I can do all things through Christ Who strengthens me. Praise Your name for Your grace is truly sufficient. Your strength is a precious hope in my heart and I pray that I can rest in this truth, knowing that You will give me the strength to face all the problems in life that are facing me right now and a bright hope for tomorrow. Lord, why do we worry and fear so much when we are the dear children of the One who has such power? 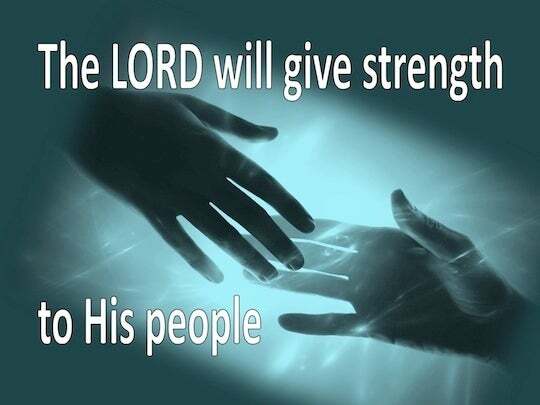 Strengthen me today with the promise of Your power. With your peace, O Christ our Savior, which passes all understanding and words, strengthen us and keep us fearless from all evil. Reckon us among your true worshipers, who worship you in spirit and in truth; for unto the most holy Trinity belong glory, dominion, and honor, now and ever. My Heavenly Father, I pray for restoration in my home. Particularly with my only son who desperately needs a touch on his new journey. I need restoration in some health issues and pray for guidance. Thank you, Lord, Amen. Heavenly Father please put a hedge of protection around my eldest son, who has struggled medically to come back from a devastating fight with death. He has sooo much further to go and needs help with SSI and getting medical help. Please help us help him. Dear God I took marriage vows to stay in my marriage for keeps. My husband has betrayed me in being a unfaithful partner Has had addictions I am weary in sticking around him I feel like his mother keeping him on the straight n narrow I'm ready to let go n let God take control I'm not the Holy Spirit Will this be the rest of my life Bitterness has caused me cancer arthritis static etc. Dear God give me YOUR love for this man. Dear God, today I will not be selfish in my prayer. I ask humbly that those who pray for others be strengthened to stand in the gap for others who are lost, lonely, confused, and seeking to have a relationship with You. 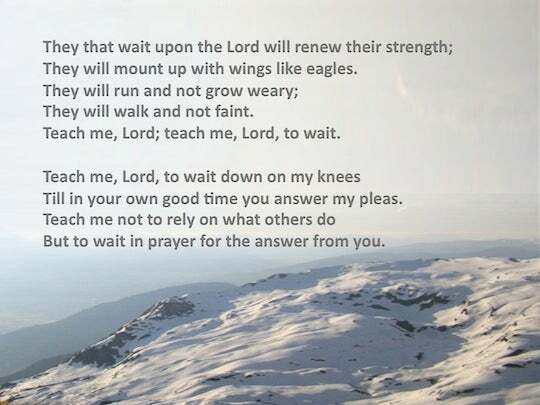 Hear our prayers oh Lord and help us to wait and accept the answer even if it is not now. I pray fo my friend Deborah who begins her Journey Of Restoration. It is my prayer that she will be restored as God intended and that theough Believing, Suffering and Partnership she will be restored and share God's glory through Jesus Christ. Lord I pray for my granddaughter, Mickayla, (age 12) that she be able to stand strong against the evil pressures of school kid peer pressure. Mickaya is a born again Christian and is going through many trials right now. Dear God, its a year now that i have found out about my husband child from another women, please help to forgive him and give me strength to deal with the situation that am facing at this moment and help me to live a healthy life. I submit this to you. Good Morning, I would like to pray for anxiety and depression as well as some of my co-workers trying to attack me. 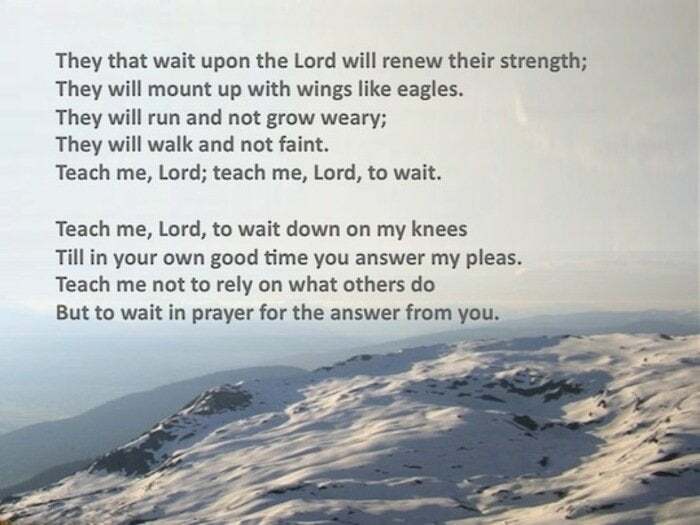 I pray my strength to hold my peace and to walk with God as he's ordering my footsteps.Also please pray for my family and children and a constant financial break through. I thank you guys and most of all, I thank God for hearing my prayer. Love you!! Dear God, please heal my precious soul and fill her with love and honesty in everything my daughter does. Amen. Please God bless my family as you said that you will not leave me alone please God I am alone with my kids my husband is in trouble show me the way give me strength and courage also wisdom to make correct decision please please Lord God help me. Oh jesus, u know the need , u know my every thought , help me, i need u to ease my load, give me strenth n assurance! Dera Lord, I lift my daughter to you and ask that you would strengthen her. Amen. Jesus, I pray that you strengthen me, give me faith enough to accept my situation. l am divorced with two daughters who need help. Dear Heavenly Father, please help me during this dark time in my life. I pray for those who keep knocking me down everytime I get up. Grant me peace and give me strength to rise up above those who are keeping me down.